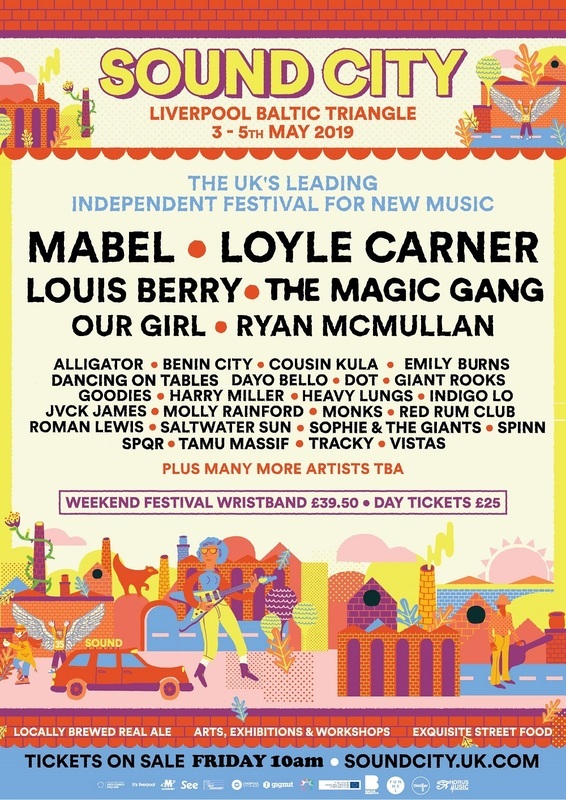 Loyle Carner and Mabel will headline Liverpool Sound City 2019. Also among the first acts to be announced are Louis Berry, The Magic Gang, Alligator, Benin City, Cousin Kula, Dayo Bello, Giant Rooks, Harry Miller, Heavy Lungs, Monks, Our Girl, Ryan McMullan and Saltwater Sun when the festival returns to the Baltic Triangle on Saturday, May 4rd and Sunday, May 5th. The festival weekend will start with the Sound City+ conference on Friday, May 4th with keynote speeches, interviews, roundtable debates, workshops and business meetings at Liverpool’s Cunard Building. Focus will then shift to the Baltic Triangle for the weekend with 100s of emerging bands, artists and performers from across the world and closer to home. Mabel will headline the Saturday and Loyle Carner will take top billing on Sunday with Indigo Lo, Jvck James, Molly Rainford, Dancing on Tables, Dot, Emily Burns, Goodies, Red Rum Club and Roman Lewis all providing support. Sound City’s Managing Director Rebecca Ayres said: “We are all incredibly proud to announce the first artists joining us in May 2019 for the 12th Sound City. With Loyle Carner and Mabel we have two of the leading artists of their generation, and support from a wide range of emerging talent including our own Louis Berry. “Earlier this year, we had a truly magical return back to our roots in Liverpool’s Baltic Triangle with our sold out 11th edition. It was an incredible weekend for all who attended from right around the world. For tickets available from Friday, October 26th and details go to soundcity.uk.com.